LED Day Counter modules by Cousign are fully programmable. 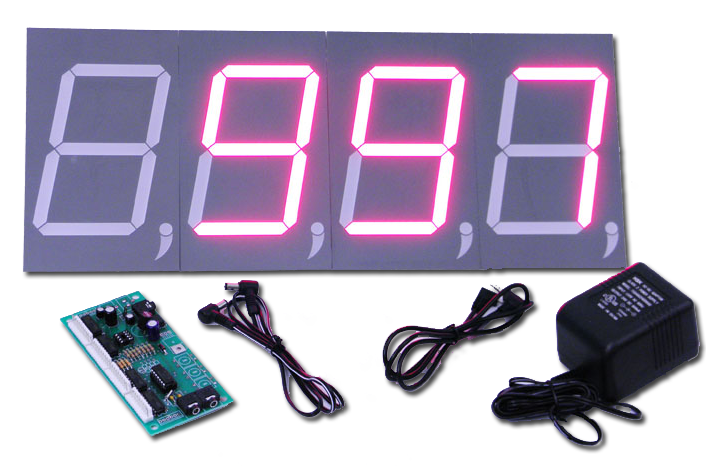 We poured countless man hours into developing a custom LED day counter that works reliably and has the flexibility fit for any task. The great displays we developed are available to you for use in your own products. The 2.3” Counter and 5” Counter are great solutions for your display needs. They don’t just count days either. Each display can be configured to count months, weeks, days, hours, minutes, and seconds. They can be daisy chained together to offer displays up to 16 digits long and can be configured to only count during certain time periods! 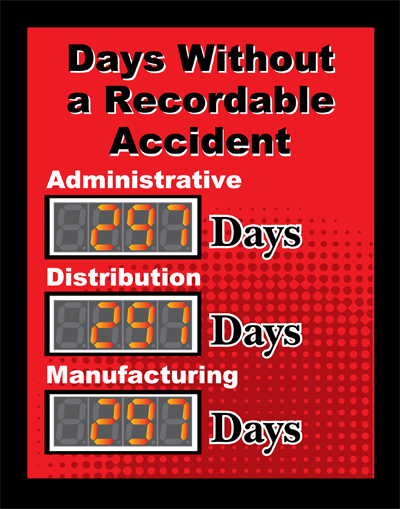 We use these displays to create wonderful looking days without accident signs that automatically track the number of days that have passed since a lost time injury. They work wonderfully for this application but can be used for so much more. 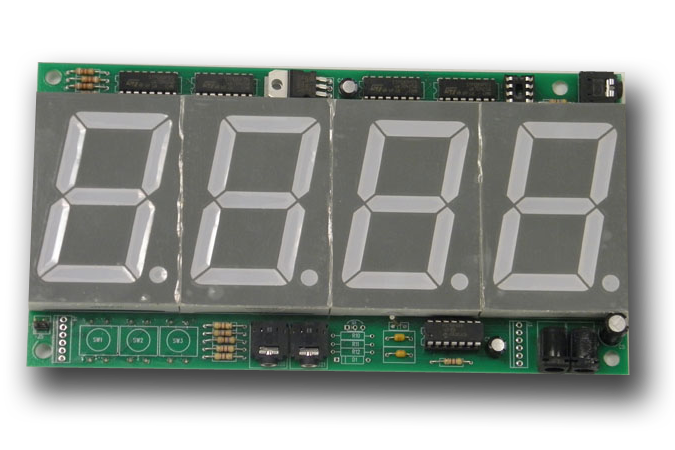 Each display can count up or down every day, hour, minute or second and can be configured to count every day or only during a certain timeframe. For example, the sign could count every hour from Monday at 9AM until Friday and 5pm displaying the number of hours worked. The amount the sign counts by can be set too, so instead of counting up 1 each hour it could count by 100 showing the total man hours worked for a team of 100 people. Each week the display would continue to count. This is just one example, there are countless other ways these displays can be used. Our counter displays are available in digit heights of 2.3 inches or 5 inches. Both are highly visible indoors and outdoors and have digitally adjustable display intensity settings ranging from low intensity for indoors to super bright high intensity for outdoor use. To enhance outdoor visibility even further a thin red film can be placed over the display to allow for viewing in direct sunlight. Add our displays to your own products easily. They can be controlled with push buttons on the back of each display, IR Remote, or network controller card. Or roll your own solution and communicate directly with the display using our ASCII RS485 based protocol. The displays also interconnect with each other so a single remote can be used to control up to 50 displays.